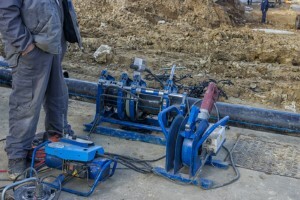 Camera inspection is a new and cost-effective way of determining the condition and exact location of a main sewer line. Our Kamloops plumbers send the camera down the pipe and it videos its journey to the city sewer. From this we can tell if a pipe has any low spots, root intrusions, fractures or broken spots which could restrict flow. If you are looking for Sewer Line Video Inspection Services, please call us today at 250-376-1438 or complete our online request form.